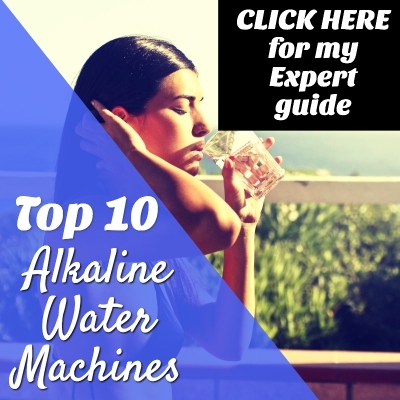 If you’re on the hunt for a new alkaline water machine, and you’re here right now, then you want to know who wins in the battle of Bawell vs Kangen. I’m Hercules, the host, content creator, researcher, and one man wrecking ball of Alkaline Water Machine Source. In today’s lesson, I will break down the features of both the Bawell and Kangen ionizers. By the end, you will be able to decide which ionizer is best for you. Bawell’s most popular ionizer is the Bawell Platinum ionizer, model 2195. If this is your first visit or you’re returning to my site but haven’t seen my thorough review for the Bawell 2195, you can click here now to read it. If not, let’s put the Bawell Platinum 2195 model up against the Kangen Leveluk SD501 Platinum. After looking over the Kangen Enagic ionizers, I found that the Leveluk SD501 model was the closest thing to the Bawell Platinum. First, let’s take a look at where the machines are made. Where is the Leveluk Kangen alkaline water machine made? Where Are Bawell Ionizers Made? What are owners of the Bawell saying? What Are People Saying about Kangen Ionizers? All Kangen’s products are manufactured in Japan, which is a huge pro in my opinion. Japan is the leader in research on alkaline water and alkaline water benefits. However, the fact that Kangen products are manufactured in Japan is a bit of a double-edged sword. I’ll get to why that is later in the comparison. Bawell alkaline water machines are assembled in Hong Kong and designed in America. Of all the places in China something can be manufactured, Hong Kong is the best place. These ionizers certainly aren’t being assembled in sweatshops or other factories with poor working conditions. If you think manufacturing in Hong Kong is bad, flip over your iPhone and see where it’s made. Designed in California – Assembled in China. Now that we know where both ionizers are made, let’s take a look at the features. I created a table for you to check out the most important features of each unit. As you can see, most of the features are the same. A couple of features not mentioned in the table are LCD panel and voice prompts. The Bawell 2195 and Leveluk SD501 Platinum both have those features. Here’s something to consider. I just did the math and found that the Kangen has smaller platinum-coated titanium plates. The total surface area of Kangen’s 7 plates is 109.86 square inches while the Bawell 2195 has 144 square inches of surface area on its plates. I’ll explain further why the surface area is so important later in the review. Next, let’s explore the pros and cons of each unit. Now that you’ve seen the features of each unit, let’s take a look at the price. Click here to see the current lowest price for the Bawell Platinum 2195. The Bawell is currently being sold for less than $1680 brand new. At the Kangen Enagic website, the current price for the Leveluk SD501 Platinum 5-Language edition is $4,280. It’s up to you whether you think it’s worth paying nearly three times the price of the Bawell Platinum for the Kangen ionizer. This goes back to the double-edged sword I mentioned earlier. Could the reason for the much higher price be that Kangen ionizers are manufactured in Japan? Earlier in the review, I mentioned that the Bawell’s plates’ surface area is much larger than inside the Kangen unit. This factor is what confuses me. One of the most expensive parts, if not the most expensive, is the platinum-coated titanium. For this reason, alkaline water machines with more plates and surface area are usually more expensive. The platinum-coated titanium plates are what conduct a current through the water to ionize it. This is why the negative ORP is so important. The Kangen and Bawell tied on the ORP with a maximum negative ORP of -800mV. If you want to read a lot more about ORP and the benefits of drinking negative ORP water, you can click here to see my comparison of top 10 water ionizers. By reading that article, you will also have a better understanding of this comparison between Kangen and Bawell. It’s always a good idea to see what something looks like in action. As I mentioned earlier, you may find that the Kangen Leveluk SD501 Platinum is a better fit for your kitchen’s design while other people will find that the Bawell 2195 will look better in their kitchens. His voice is a bit abrasive on my computer speakers, but he does give a solid presentation. After watching both of these videos, I think it’s important to note that both ionizers come with medical grade metal plates. I’ve seen people online claim that only Kangen uses medical grade plates, and this simply isn’t true. Let me know what you think after watching both videos in the comments section below. Which ionizer do you think is more attractive? I’ve spent hours upon hours researching alkaline water machines, ionizers, and the water they produce, so I feel as though my opinion is worth more than a couple of cents. I think the Kangen is indeed a great ionizer and the fact that it’s produced in Japan appeals to me since Japan is the leading authority on alkaline water. However, I can’t justify the added cost. I used to always jump at buying the latest iPhone. Eventually, I realized that I only use my phone for a few things. I’ve also felt the burn of having a nearly brand-new iPhone stolen on more than one occasion. While living in Asia, I decided to buy a much cheaper Huawei phone. It ended up being a great decision, and I saved hundreds of dollars. Let’s apply this principle to ionizers. There is only so much going on inside an alkaline water machine. First, the water is filtered. Then it enters the chamber with the metal plates to undergo the electrolysis process. This process is what produces the alkaline ionized water with alkaline minerals in it. Why pay thousands more for something that is doing the exact same thing? Well, for some people, the amount of money doesn’t matter when they buy a brand they love. It’s up to you to decide which brand you prefer and if the extra money for the Kangen is worth it. One verified purchaser couldn’t afford the Kangen and decided to buy the Bawell after doing a bunch of research on different ionizers in the family’s price range. The same person also reported that the entire family “feels much healthier” and loves the taste. Another happy camper was glad to save thousands and praised the quality of the Bawell 2195 model. A cancer survivor loves the lifetime warranty for the Bawell. She said that her friend sells Kangen ionizers, and she is happy that she chose the Bawell. You can also click here to see customer reviews for Bawell on BBB.org. One of the biggest pros for some people is Kangen’s A+ BBB rating. They’ve been in business for 15 years. Although, I just looked at the customer reviews, and it looks like a mixed bag with mostly positive reviews. You can click here to skim through the reviews to see what people are saying. A few of the negative reviews written by people who noted a bad customer service experience are offputting. There are other people who are extremely happy and have used the ionizer for years without any problems. I think both the Bawell and the Kangen ionizers are two of the best alkaline water machines on the market. 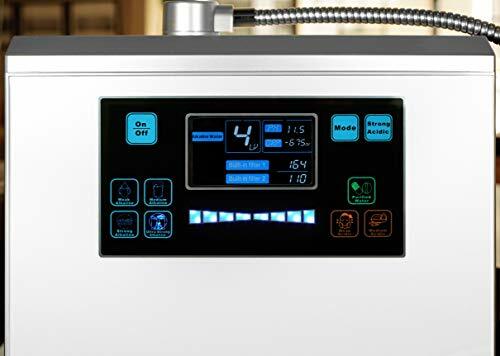 However, due to the Kangen’s hefty price, I have yet to recommend it as a top ionizer on my site. I’ve seen other sites call the Kangen ionizer a scam, which I don’t believe to be true. The price may be high, but I do think the Kangen is a high-quality unit. The customer service reviews for the Kangen scare me a bit. I definitely found more negative customer service experiences written about the Kangen units than for the Bawell 2195. In the battle of Bawell vs Kangen, the winner is the Bawell Platinum 2195. If Kangen can prove to me exactly why their units cost so much more, my opinion could change, but considering the hours of research I’ve put into alkaline water machines, I don’t think they’ll be changing my mind anytime soon. Which unit do you prefer? Is the added cost of the Kangen worth it in your opinion?